Today, we will be introducing you to a very popular and versatile online jobs and services platform called Fiverr. This article not only talks about Fiverr in detail, but also throws light on its strengths, probable weaknesses, what are your options and how do you operate on Fiverr. 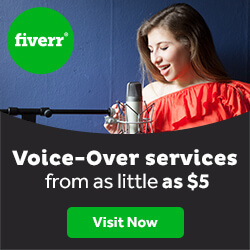 Fiverr is an enormous online marketplace, where a number of freelancers offer variety of their online services for the customer community, with pay prices starting at just $5. 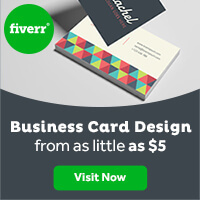 In fact, “Fiverr” gets its name because of this $5 starting price for each service. And isn’t that really a good bargain? In this way, Fiverr offers a vast variety of different services worldwide. You can get into contact with professionals of a number of fields on Fiverr, ranging from article writers, artists, logo designers to programmers and web developers. It also offers services like advertising, business, lifestyle, health and fitness. With a huge list of over three million services offered, Fiverr is one the world’s largest and most versatile services platform anyone ever needs. Its services range from $5 to say, $500. Depending up on the job, the service price may even go up to thousands of dollars. But Fiverr never compromises with the limit of its famous minimum amount. It is always $5 – fixed and firm. Actually, Fiver is not a service provider by itself. All it does is to provide an efficient platform for customer and freelancer interaction. And it won’t be wrong to say that it is doing its job fairly nicely. 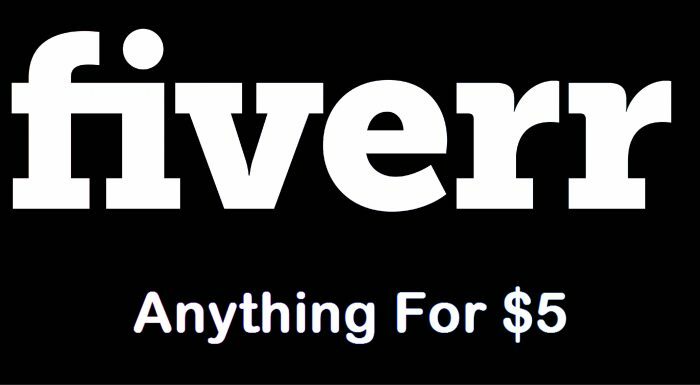 Fiverr was the brainchild of Shai Wininger and Micha Kaufman and was developed in the year 2009. Wininger started working on an innovative idea of taking the marketplace online when he envisioned that in the coming time, the internet will be a necessity to more than 40% of world’s population. He thought to develop an online services portal that would work as a two way platform for customers and online service providers, who are typically freelancers. Hence today we have Fiverr – world’s largest online marketplace that has something for everyone. It is now no less than a boon for customers as well as for talented freelancers. Fiverr as an online portal was launched in 2010. It proved its worth by its exponential growth which was so rapid that by 2012, more than a million jobs and services (called “Gigs” on Fiverr) were being offered online on Fiverr. Its popularity can be assessed by the fact that it is ranked among the top 150 most popular websites in the world and top 100 in the United States. … And a lot more to discover. Fiverr offers a platform for people having a commercial skill like web design, article writing, photography, art, advising or management skills etc. Whatever skill you possess, there is a great market for your services out there online. Many people who think about leaving their jobs to enter into mainstream freelancing can effectively use big platforms like Fiverr.com. It will not only aid you with money but also get you recognition as a successful freelance in your field. A job one offers on Fiverr is called a “gig”. To sell your services on Fiverr, you create a new “gig”. This is the job you are willing to perform for a least amount of $5. People browse through various gigs of their need and when a customer selects and orders your gig, you get a notification that there is a job for you. 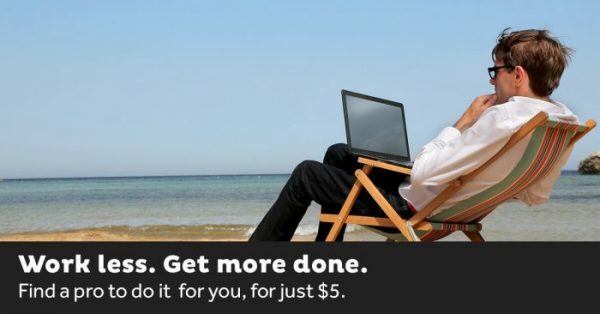 Considering the “lower-limit” scenario, out of that $5, you earn $4 in to your account after 48 hours of successfully completing the job and Fiverr takes $1. The earning withdrawal can take place via your PayPal account easily. Similarly, to order a service on Fiverr, you need a PayPal account or your credit card and pay the $5 amount. Within the next 48 hours of delivery of the service or product, you may ask for any necessary amendments or alterations in the job. Providing the feedback of job performed by the freelancer follows. Fiverr offers its services to its registered users and one must have a Fiverr account to operate on the site. No worries, the registration is free and open to everyone. After the registration process is over, working with Fiver is very smooth both as a buyer and a seller. The platform has gained firm trust and high popularity in recent times. You do not need to worry about your name, profile or money –everything is in good hands. Although the site offers complete bunch of services one can think of, we choose to discuss some of the jobs to discuss in depth. This will be helpful in delivering a clear and honest review of Fiverr to the readers, in a straightforward manner. SEO has now become a necessary tool for survival on the internet. Everybody wants their site to be indexed higher in the search results of search engines and to be seen by more and more visitors. Either to make money or just for fame, everyone wants their site to be highly popular online. And SEO is a way of increasing site popularity in an efficient manner by making search engines to rank the website higher. Hence, SEO is a necessary and popular service. 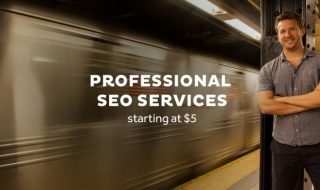 Talking of the market of Fiverr, a large number of SEO services are being offered on the site (again starting at $5 only). Different kinds of offers are available under the heading of SEO. Some offers include building up of high quality backlinks (as low as 60 and as high as thousands of backlinks for $5). Other offers are about increasing website speed, database optimization, SEO analysis, site submission to search engines, publishing guest posts, writing SEO articles and even spying on competitor websites too. Customers in need of SEO professionals will not be disappointed by Fiverr as there are huge numbers of services offered in this niche on the site, at affordable rates. 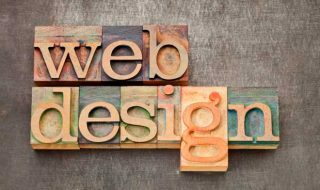 Apart from SEO, there are a lot of options available in Web Designing too. Websites are necessary to spread a word about your business online. And once online traffic is attracted, the business is sure to rise up to new horizons. For this very reason, every new company wants their own website. Now Fiverr has got a lot to offer on that. Ranging from writing content for a web page to building a complete website, you can get nearly every service related to Web Designing on Fiverr. There are offers to create great graphics content for your website, or a nice fancy logo for your page. There are services related to content writing and also SEO (as discussed above). People are willing to make professional looking and ready-to-launch websites too. Services like website auditing and reviewing a website from user’s perspective are there. Ever had spelling or grammar problems in your content? Don’t panic any more. There are number of professionals on Fiverr that will proofread your website’s text for $5. It is becoming evident that Fiverr amazingly understands customer needs. Yes, there are freelancers that will create your content and write-ups if your need. Creative writing, proofreading, SEO content, article writing, blog post, technical texts, biography writing, research, thesis, translation or even completing assignments – all you get on Fiverr. Although at some instances this may seem to encourage plagiarism and cheating, but then you are to get “everything” available in a good market, don’t you? You can easily see people claiming to do “your essay, research paper and homework for just $5.” Rightly said, every coin has two phases! Anyway, some other job profiles offer “I will create your resume, cover letter or CV for $5”, “I will create your LinkedIn profile”, “I will review any product for $5” or “I will translate from English to Arabic”. The uncountable number of results under creative writing leads us to an obvious conclusion: Fiverr has no shortage of writers of literally any kind! WordPress is one of the most popular CMS programs available. Your WordPress blog could bring you fame, recognition, appreciation and of course money. Therefore, more and more users are attracted to build their site using WordPress. Various WordPress related gigs are offered on Fiverr for $5, including content creation or regularly posting on the blog. You can get your WordPress blog created, designed or managed. There are people proficient in CSS, HTML and PHP which can make your blog shine. These services are suitable for those who want a WordPress blog but are not geeky enough to handle the initial setup procedure. Even if they get through the installation phase, many people complain of facing errors in their blogs. Many professionals on Fiverr offer to fix these WordPress blog errors, or fit a theme on your blog without you taking too much fuss, or attaching a new plug-in to your blog. Guess how fast your work is done on Fiverr? Well, there are even offers to make you a complete, running WordPress website in just a total of 30 minutes. There are even claims to recreate a hacked domain, or check a site for vulnerabilities and insecurities. Let’s admit it, marketing trends are changing swiftly and sellers really need to change and adapt that fast. 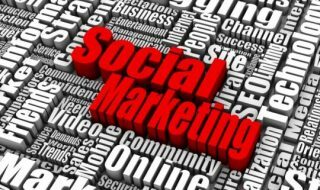 Keeping in pace with today’s trends, loads of social marketing services are being offered on Fiverr.com. In today’s world, having a good network (especially a strong online community) is really very beneficial in terms of commercial aspects. The flood of social marketing gigs on Fiverr is a live proof of this statement. People having good social network are offering to share your message in their network. The offers are posted by people having large number of online followers and their offers are generally to get you social promotion, sharing your advertisement, promoting your project or research and the like. While this may seem quite insignificant to some, it is to be noted that in today’s scenario, you or your product promoted to a large audience via social networks may prove to be really very beneficial as everyone is on the internet today, and more and more people are being attracted towards online shopping too. So the larger is the number of people that hear about your product, the more you will get benefited. There is a separate section for music and audio related jobs. Thousands of gigs are being offered under this category – mixing and mastering, jingles, voice-overs, sound effects. Many professionals of this niche are present on Fiverr, including musicians, producers, composers, background singers and songwriters. It is evident that there is perhaps not any field Fiverr has left untouched! It sincerely dominates online markets in the music and audio field too. There are offers from musicians to get a song prepared exclusively for you. There are composers to provide the necessary music for your audio needs. Then there are great song writers who will write new songs at your demand. All this starts at just $5. Weather it is getting a “Happy Birthday” song composed for your buddy or a professional audio related requirement, all you need to do is to search for a gig on Fiverr. Every business, website, or product which is to be promoted, needs an eye-catching logo. Logo is something by which customers remember you and your product. But not everybody can create good logos. If your new business demands a logo that makes a mark, Fiverr has a whole set of gigs that will do the needful. There are offers that deal especially with logo designing and the logos are in fact really very creative. So you see, you just need to tell these designers the flavor of your need and they will make something delicious for you. Photoshop services are offered in the graphics niche which include great Photoshop editing and that too at cheap rates and less time. There are professionals that will use their Photoshop skills to your command and will deliver results within the next 24 hours. So is your business of a newly created website needs graphics, the Photoshop section on Fiverr.com is awaiting. We saw how using Fiverr efficiently for your profit can increase the popularity of your business. Some more business and productivity applications offered by Fiverr at budgtet rates are services related to business cards, invitations, making of posters, book covers, packaging or banner advertisements for your product. There are a number of professionals which will create all the above mentioned items for your business and you do not have to take the hassle of designing or even going to the market to order a print. See how the meaning of market, shopping and transactions is totally transformed because of the internet and also because of the rise of such ingenious online services. Online trade is passing through its golden age. As eCommerce is booming in the world market, Fiverr has enough services to offer in this regard, like preparing product catalogues, advising about products or ecommerce website, coding an ecommerce portal. There is a separate section where the portal has gigs directly dealing with business and career related issues too. There are resume writers, business analysts, career advisors and many more professionals you can deal with. There are offers related to market research, legal advisory, counseling, interview practice, paperwork completion, accounting and etc. While Fiverr has a great deal of services regarding programming, business or graphics, it also has no shortage of services related to our day to day life. You may also find topics like spiritual services, astrology, fortune telling, health, learning, online lessons, travel, relationship advice, cooking recipes, dieting instructions, pet care, parenting tips and much more. There is a lot you can explore in lifestyle on Fiverr. In fact, the most diverse range of services is provided in this section. You can get dealing with doctors, fashion designers, advisors, astrologers, engineers and economists – they are all willing to serve you online. On such a vast platform like Fiverr, where millions of people are willing to work and offer anything and everything, there is no shortage of such jaw-dropping offers which you may not find available in your neighborhood market. There are people who would add you to their social media profile, will comment on your posts or like them, introduce you to their contacts and etc. However, this all seems normal once you read the rest of the list… You can get your face created on a pizza with sauce and cheese, your message or name written on a road, your advertisement displayed from outer space, your name written in Japanese or your own personalized font created from your handwriting! There’s even an offer to tell you a “cool joke” for $5! Now that’s something cool. Fiverr is really an ocean of opportunities for both customers and sellers of services. It, being the largest online creative and professional services marketplace, hosts jobs of nearly all kinds. Moreover, its lowest price limit (i.e. $5) is quite pocket-friendly for customers and perhaps this is the reason for its huge picture online. Also, it gives a well developed and highly visited market to freelancers and other service providers who are willing to get paid to do what they are good at. Many success stories are heard of freelancers who found a fortune through such online marketing. The success secret always lies in the quality of their work, the demand of that service, maybe their luck and most importantly, their time management. Yes, if you are a seller on Fiverr (or any other online marketplace), you must ensure that the service is provided to customer on time. After all, customer is the king and so, it comes all to converge at customer satisfaction at last. For customers, Fiverr is really beneficial, but at the same time, it is equally beneficial or rather necessary to do good background research of a service or job offered on Fiverr before ordering. There are hundreds or perhaps thousands of gigs offered for your single search term… And you need to choose the best suiting to you. It is therefore up to you how good you are at evaluating things. Some people doubt Fiverr to be a scam or so. This is to clear that Fiverr is a legitimate platform. You just need to be vigilant enough and that’s it. With this, the review concludes with a thumbs-up for both customers and freelancers looking forward to explore what Fiverr has in store for them. Best of luck!